fateme@@ (Dezful, Iran) on 5 February 2019 in Miscellaneous. 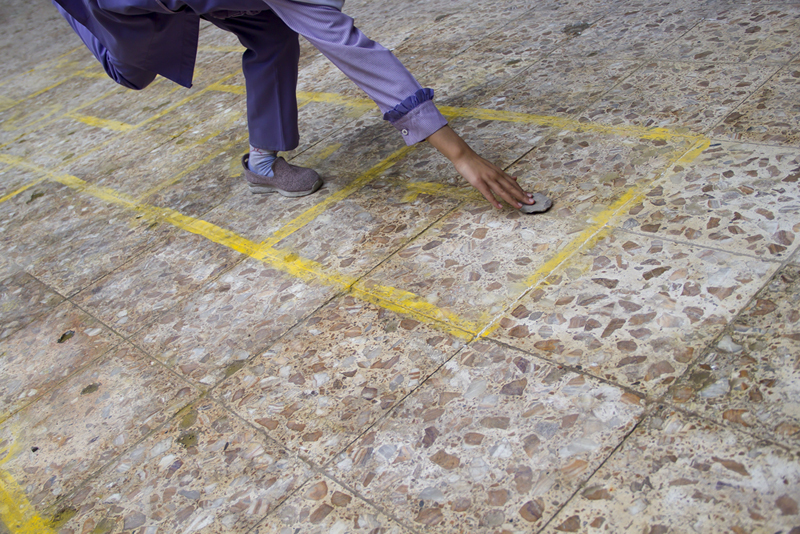 Great action shot of playing hopscotch! This reminds me of playing this game in my childhood. Love this! Reminds me of my childhood :-) Wonderful match of purple and yellow! aw!! I am here again..this is hopscotch game we used to play s kids ! Now the kids are glues on to video games and such games are vanishing ! You are right, Devi. This seems a global problem!